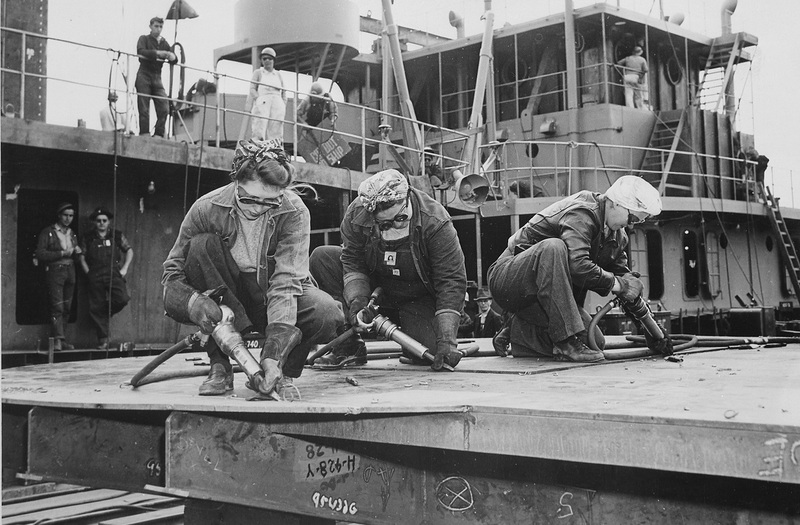 Chippers removing excess metal from welded seams in a shipyard, 1942. National Archives. The number of bombers and of shells is so enormous that it doesn't really mean anything to the average man, except, somehow, that there is a great deal of excitement and glamour in these numbers. Maybe there is. But there isn't any glamour and excitement in making bombers and shells. That is just a job, a job to be done day after day, carefully and deliberately, with every person doing a certain thing, doing it exactly the same way, maybe a hundred times a day, or a thousand times, or five thousand times. Doing it over and over and over each day. There is no excitement in doing a thing over and over. There is no glamour in pressing a lever five thousand times a day. 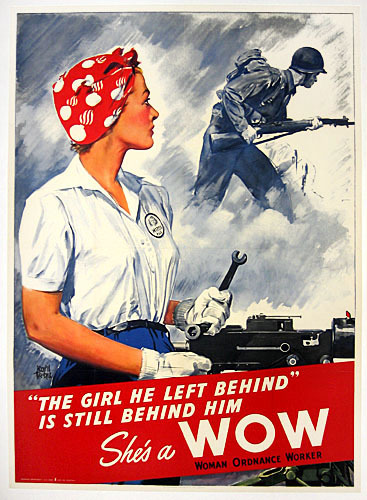 Von Miklos was one of millions of women ordnance workers (WOWs) who found employment in the defense industries, the best known of whom is the fictitious Rosie the Riveter. Not yet famous was nineteen-year-old Norma Jeane Dougherty. Her husband away at the war, she had been hired to spray fire retardant on radio planes ten hours a day in a factory in Van Nuys, California, “The work isn’t easy at all,” she wrote in a letter, in which she also complained about the “wolves” who worked at the plant and in the Army. During the last year of the war, she posed for a photographer assigned by Capt. Ronald Reagan to get pictures of working women for a feature in Yank, The Army Weekly. Although none of the photos were never used, she would later credit the photographer, David Conover, for launching her modeling and acting career nearly two years before she took the stage name Marilyn Monroe. During the war, she also collaborated with Mildred Fairchild and Ann Wentworth Shyne, both of Bryn Mawr College, to publish the tract Women During the War and After (1945), a summary of a 600-page report they compiled in 1944. While she worked on the report, she wrote an essay for The New Republic describing her own experience as an employee at the Washington Navy Yard, and we present her account as our Story of the Week selection. 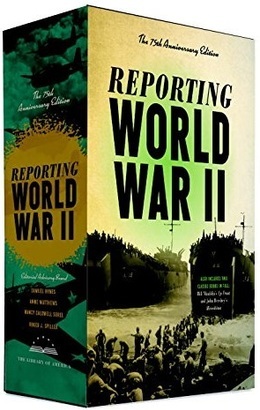 * Some of the information about WOWs is from Doris Weatherford’s American Women During World War II: An Encyclopedia (2009). My first night on the midnight shift day at Washington Navy Yard, I met Esther, a fellow ordnance worker, who ran the machine next to mine. . . . If you don't see the full selection below, click here (PDF) or click here (Google Docs) to read it—free!